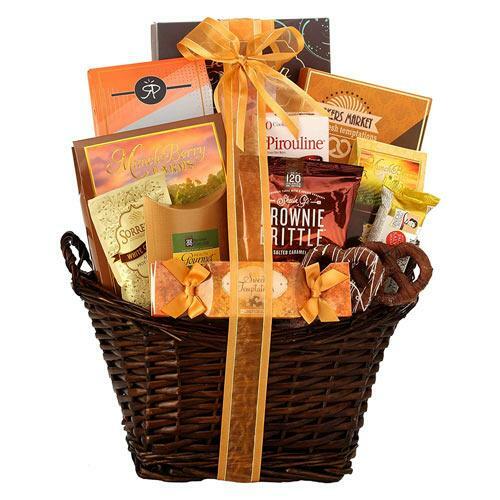 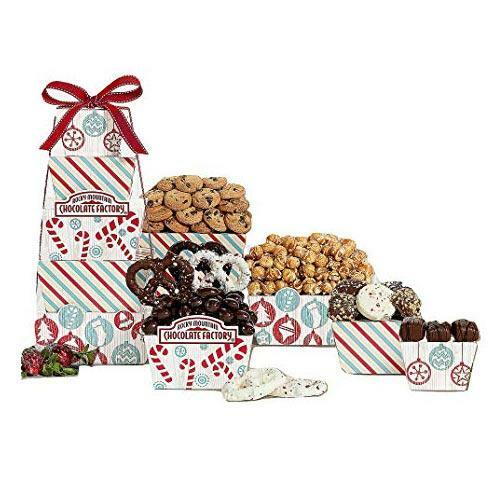 Product Details : Our Executive Basket will please the whole office!An Executive Basket to please the whole office. 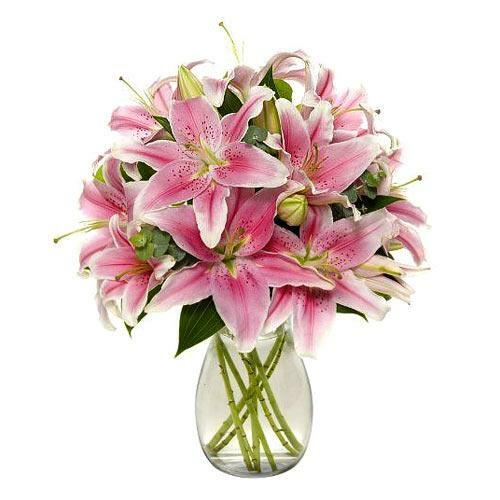 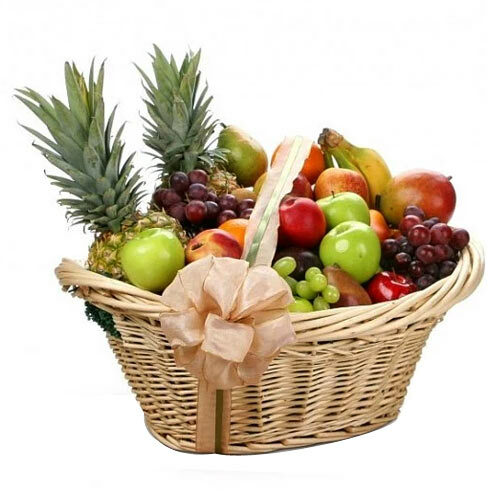 An experienced local florist in your recipient"s area will fill a large basket with fresh fruit and gourmet items. 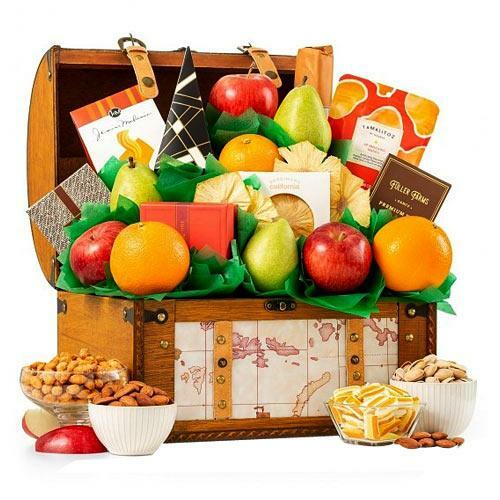 Possible items may include apples, oranges, grapes, bananas, sausage, cheese, crackers, nuts, cookies, or chocolates. 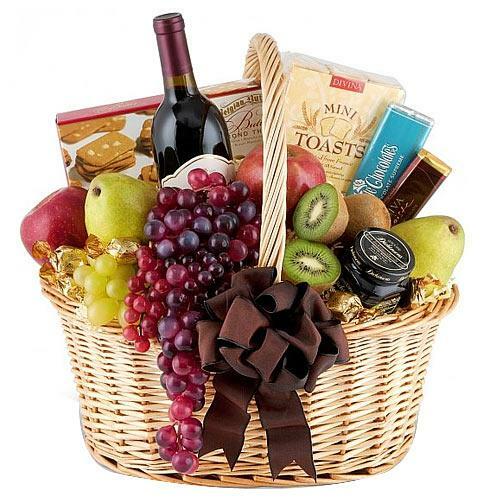 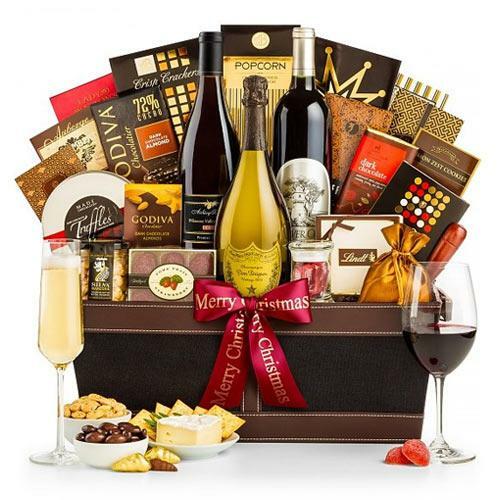 You may choose Chardonnay or Merlot to accompany this basket.Each basket is a unique creation. 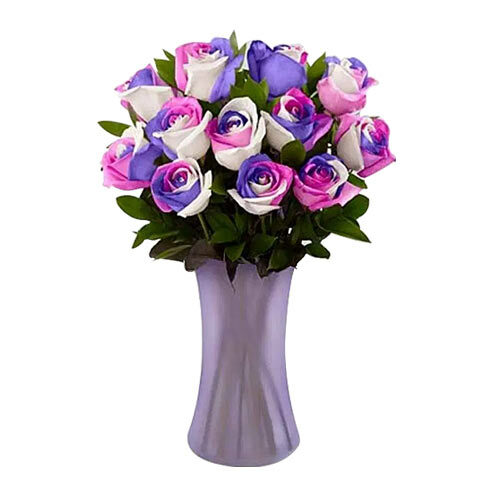 Photo shown online is a representation only. 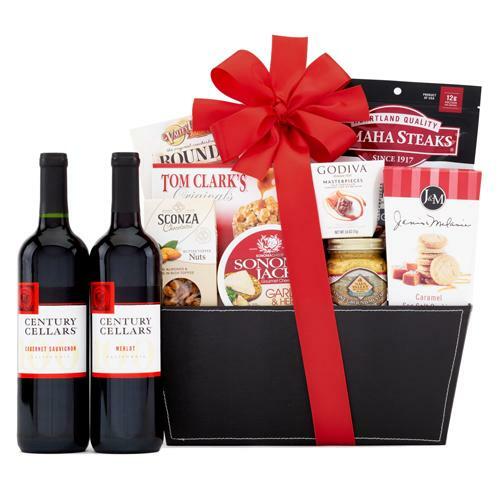 Specific basket and Items picture will change according to local availability or designer"s preference.Gift Includes:Your Choice of Wine: 1 Chardonnay and 1 Merlot.Assorted Fresh Fruit.Assorted Gourmet Items.